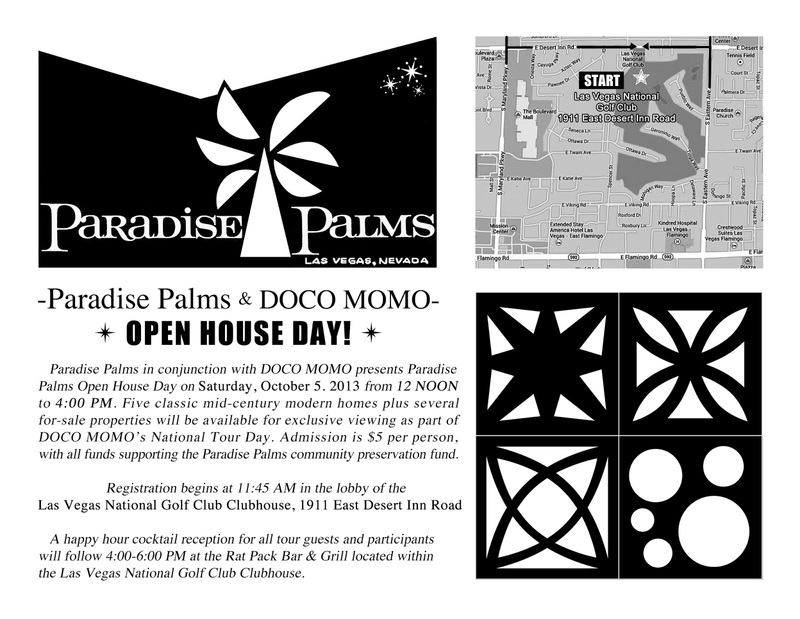 In conjunction with Docomomo, Paradise Palms presents Paradise Palms Open House Day on Saturday, October 5, 2013 from 12:00 - 4:00 PM. Five private classic mid-century modern homes plus several for-sale properties will be available for exclusive viewing as part of Docomomo’s National Tour Day. 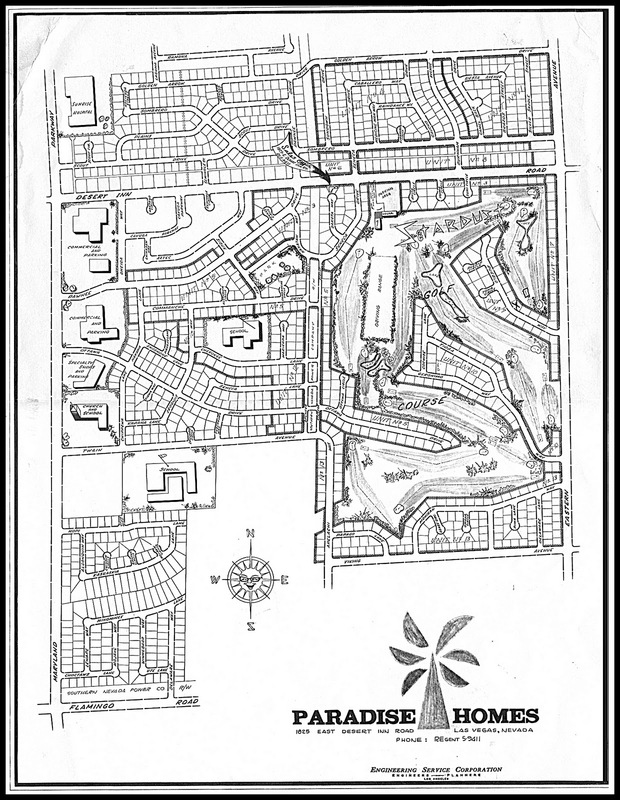 A happy hour cocktail reception for all tour guests and participants will follow from 4:00-6:00 PM at the Rat Pack Bar & Grill located within the Las Vegas National Golf Course Clubhouse. We look forward to seeing all our friends and fans there.